Last summer, I was at a party in Mountain View, California. Mostly everyone at the party was a Software Engineering intern at Facebook or Google. I say mostly because my then-girlfriend was visiting me from Maryland and had reluctantly come with me to the party so that I could see my friends. I was shocked at this person’s insensibility and her naive attitude towards her education. The sad thing is that this sentiment isn’t just seen in comments at Mountain View parties — it’s a prevalent notion in Computer Science student communities. For example, the “UC Berkeley Memes for Edgy Teens” Facebook group boasts 180,000+ members. In this group, there is a recurring theme of making fun of Humanities majors. Statements that their educations are worthless or that they’re somehow inferior to the coveted EECS/CS major garner thousands of likes. The great irony is that Computer Science was born out of openness. Open-source communities have allowed the relatively young field to advance tremendously. Linux, the operating system kernel for most web servers, is an open-source project. MySQL, the relational database management system used by most technology companies, is an open-source project. Firefox, the web browser that dared to compete with Internet Explorer at the time Internet Explorer was still relevant, is an open-source project. Openness is at the heart of Computer Science products. Computer Science is also the amalgamation of knowledge from a vast array of fields. Circuit boards can only be so complex and compact through extensive understanding of Physics. Good software is able to reach product-market fit via the application of marketing research and data science. Programming languages are only as useful as well-written, concise documentation. 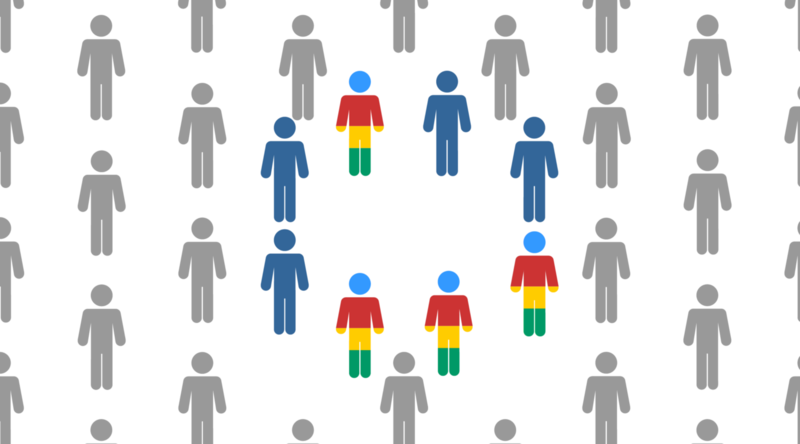 The study of Human-Computer Interaction is rooted in principles of Psychology. Many Computer Science students fail to see this, and create a community of inclusive exclusivity. A community that you’re free to join, only if you’re also currently freaking out about the upcoming Algorithms exam or the latest iOS update. The most discouraging part of it all is that these students take this behavior in CS student communities and bring it with them into the workplace when they start in full-time roles at top tech companies. Ultimately, this contributes heavily to the “brotopia” culture that Silicon Valley is notorious for. If CS students can get away with shunning and isolating themselves from Humanities and Arts majors during all of college, how can they be expected to work alongside them in a cross-functional team that requires constant collaboration? And if this environment is validated and perpetuated, how can we expect to improve diversity in the tech sector? Existing diversity initiatives such as Code2040, Management Leadership for Tomorrow, and Girls Who Code do a good job at finding diverse talent to come to Silicon Valley. However, these organizations can only do so much to foster inclusive communities when people like me join the tech workforce. A fundamental attitudinal shift needs to happen to make greater strides towards truly diverse workplaces. With all this in mind, I decided to write an open letter to anybody out there currently studying Computer Science. a) You are extremely interested in the field and want to advance it or apply it in some way. In this case, that’s awesome that you’re pursuing your passion. In my opinion, that’s what college should be about! So stop putting down others for pursuing theirs. b) You are not interested in the field, but you’ve seen the perks and salaries that Computer Science graduates get, so you figure it’s a good thing to study. If so, that’s great that you see your education as a logical investment in your future financial stability. Let other people make their own investments. 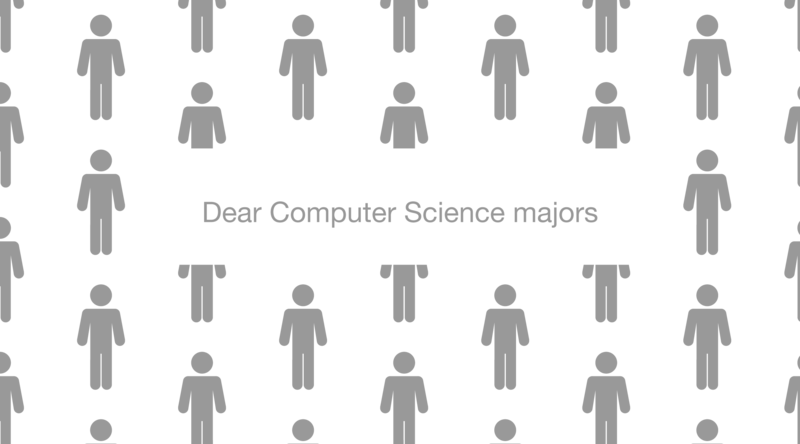 You’re not special because you’re a Computer Science major. You happen to be studying a field that is in high demand in the current job market. This does not entitle you to put down others who may have less sensationalized job prospects. In 20…30…50 years from now, these people could well be the only ones who do have jobs because everything else has been automated. After all, the human emotion and human condition cannot be consolidated into a string of 1’s and 0’s — no matter how hard we may try. As a Computer Science major, you are in a unique position to use the power of computing to make whatever you want. Learn from everyone around you, not just CS kids. Absorb others’ ideas and consider their perspectives. That is what will set you apart; That is what will allow us to create incredible, compelling software. That is what will make you special. — I’m Andrés, find me on LinkedIn and check out my portfolio!